PLMA's Thought Leadership Group in cooperation with the DER Integration Interest Group, is seeking abstracts from authors who are interested in drafting an article for peer review and possible inclusion in a publication in the Spring of 2019. 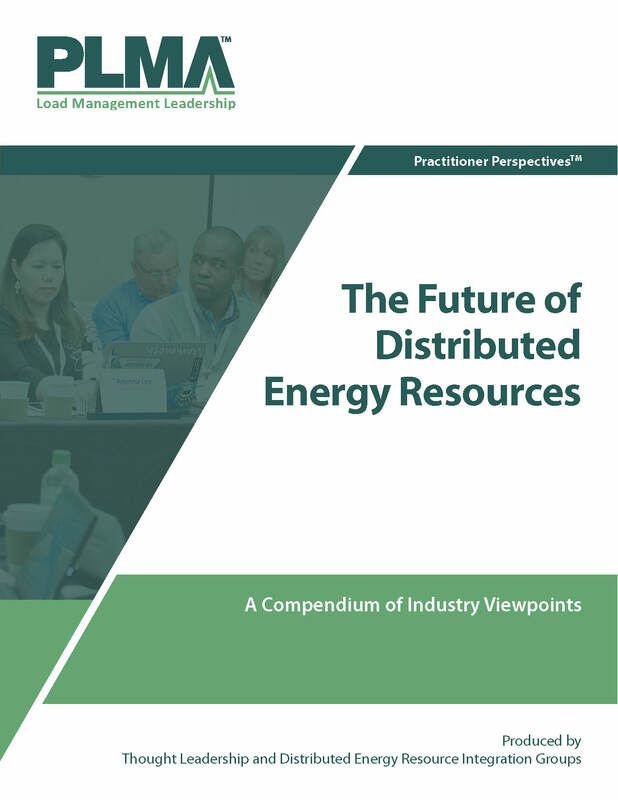 Where do today's load management activities (including demand response, energy efficiency, and renewable energy programs) fit in a distributed energy resource (DER) future of non-wires alternatives, storage and more? This compendium will seek to detail eight (8) industry initiatives where leading utilities are partnering with allies to demonstrate the path to a more integrated approach to distributed energy resources (DERs). This may include, but not be limited to, an exploration of the evolution of the energy industry from peak load emergencies and market/system economics to operational management. As alternatives, the abstract may consider that the operational management aspect may come before the market/system economics, that the evolution follows a path of system economics, system operations, localized economics, and localized operations. the publication will be made available for free to all who are interested. Abstract submitters do not have to be with PLMA member organizations but they must agree to comply with the PLMA Code of Conduct and PLMA Presenter Policy. All staff from PLMA member organizations are invited to learn more about and join the Thought Leadership Planning Group and the PLMA DER Integration Group. Explain why this initiative will help senior utility executives with DER responsibilities gain a more thorough understanding of the value and potential for integrating DERs. The abstracts will be reviewed by PLMA Thought Leadership Planning and DER Integration Interest Group members who will select up to eight submitters. Those selected will be asked to expand their abstracts into individual articles of between 1,000 and 2,000 words each. Abstracts that are clear commercial advertising for a specific company or product will not be accepted, at the groups' discretion. After PLMA review and authors' editing as mutually agreed between PLMA and the authors, these articles will then be compiled into a PLMA-branded Compendium. Companies or individuals contributing articles will be credited in the Compendium, and articles will appear in their entirety. Following the publication, PLMA will produce a webcast with the invited public, at which contributors will have an opportunity to present their perspective and respond to questions. PLMA looks forward to your submissions and to making this a valuable piece of thought leadership for our members and other interested parties. Forward any questions or comments to Ed Thomas at [email protected]. All staff from PLMA member organizations are invited to learn more about and join the Thought Leadership Planning Group and the PLMA DER Integration Group.